Following a few visits to the nursery next door, we saw that the children were very interested in the works taking place. They asked a lot of questions and showed interest in the tools and machines that we use on site such as the cranes and diggers etc. So we thought it would be beneficial for them to be able to see our work and the machines in use. Therefore, with the permission of the nursery, we have built a ramp and viewing windows on the hoarding for them to view the works taking place. 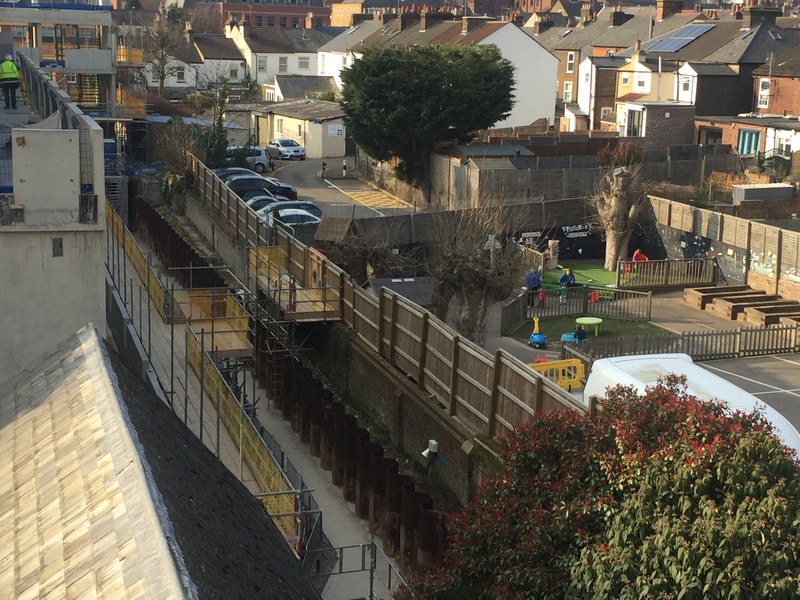 The children can now safely play in the back garden of the nursery and be able to learn more about construction from just watching us work out on site. The children loved the viewing windows and created a thank you card for us.